On November 9, 1885, German mathematician, theoretical physicist and philosopher Hermann Weyl was born. 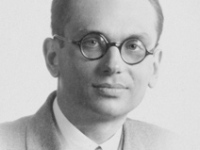 Weyl was one of the most influential mathematicians of the 20th century. 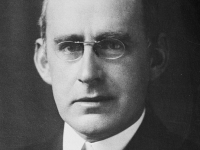 His widely varied contributions in mathematics linked pure mathematics and theoretical physics. 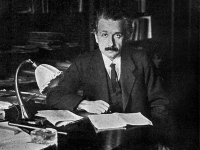 He made significant contributions to quantum mechanics and the theory of relativity. He attempted to incorporate electromagnetism into the geometric formalism of general relativity. Hermann Weyl was born in Elmshorn near Hamburg, Germany and already in his early years his enthusiasm for mathematics and science in general became obvious. He entered the University of Munich in 1904 where his took mainly courses in mathematics and physics. Weyl later went to the University of Göttingen where one of his role models in concerns of science was David Hilbert. After submitting his doctoral dissertation Singuläre Integralgleichungen mit besonder Berücksichtigung des Fourierschen Integraltheorems he was awarded the degree in 1908. In his thesis, Weyl investigated singular integral equations and looked in depth at Fourier integral theorems. 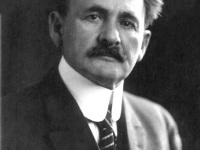 Around this time, Hermann Weyl first began to teach and remained privatdozent until 1913. In Göttingen, Weyl managed to earn himself a great reputation in mathematics and physics. His course on Riemann surfaces resulted in his first book Die Idee der Riemannschen Fläche which was published in 1913. Weyl’s impressive work united analysis, geometry and topology, making rigorous the geometric function theory developed by Riemann. While still teaching in Göttingen, Weyl was also influenced by the philosopher Edmund Husserl. One of Husserl’s students became Weyl’s wife and both increased also Weyl’s interest in philosophy. In 1913, Hermann Weyl left Göttingen for Zurich where he held the chair of mathematics and he was probably a colleague of Albert Einstein who was at the time working on his theory of general relativity. Also Einstein counts as one of the key influencers of Weyl’s work along Erwin Schrödinger who was also appointed professor at ETH Zurich back then. Weyl’s 1917 lecture on relativity through differential geometry became the foundation for his second book titled Raum-Zeit-Materie. It was published in 1918 with further editions in later years. In the 1920s and throughout the 1930s, Hermann Weyl worked on the concept of continuous groups using matrix representations. His theory of representations of semisimple groups is now considered one of Weyl’s greatest achievements. Unfortunately, the rise of the Nazi party forced Weyl and his family to make decisions and he accepted a position at the Institute for Advanced Study in Princeton. Einstein also went there and Weyl was able to guide and influence the younger generation of mathematicians, a task for which he was admirably suited. Weyl stayed at Princeton until 1952 and next to his own research also kapt teaching and authored more books including Elementary Theory of Invariants, The classical groups, Algebraic Theory of Numbers, Philosophy of Mathematics and Natural Science Symmetry, and The Concept of a Riemannian Surface.